Nova Scotia, Canada. Apply from all Canada. Live History, a site specific international historical touring theatre company, is holding general auditions for it's 2019 season. Auditions will be held in Halifax, NS, Canada. Actors will be seen, for engagements both in their home province and in international venues Live History also has venues across the United Kingdom, Europe and Oceania . This is a non-union casting call. Role 1: General auditions. Age 20+, any gender, any ethnicity. Improv skills an asset. Site specific theatre experience an asset. Ability to speak French an asset, but not required. Ability to drive an asset. Schedule varies. If selected for the roster, actors will be paid $50-$100/show day, with travel, food, and accommodation expenses covered. Auditions will be held April 4th, 6pm-9pm in Dartmouth. Actors must specify if they have any time preferences. Actors must have up to 2 hours free on audition day due to call backs. Due to the nature of the work, actors must attend auditions in person. There will be no reimbursement for audition expenses. Actors will likely be engaged at venues closest to their home city, or asked to tour their own province. Contracts vary. Auditions are April 4th, from 6pm-9pm. Actors added to the roster are contacted for shows throughout the year. 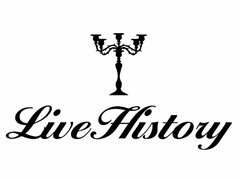 Live History (www.livehistoryshows.com), a site specific international historical touring theatre company, is holding general auditions for it's 2019 season. Auditions will be held in Halifax, NS, Canada. Actors will be seen, for engagements both in their home province and in international venues Live History also has venues across the United Kingdom, Europe and Oceania . This is a non-union casting call.